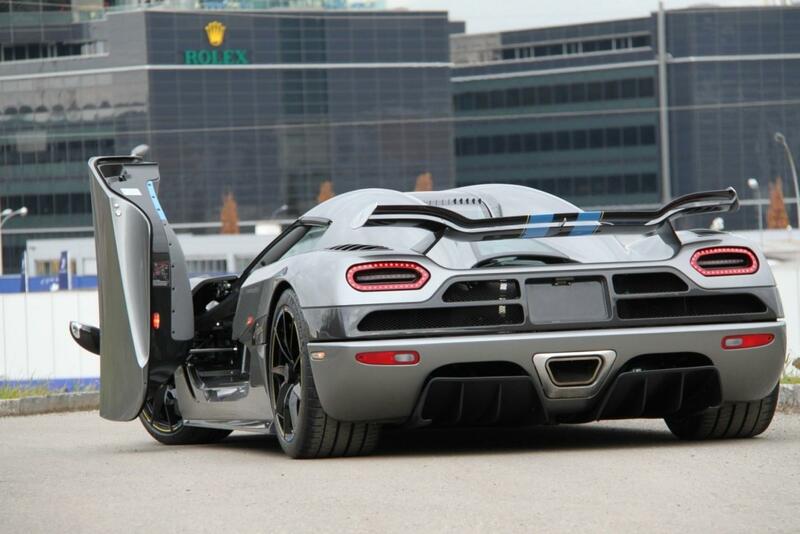 This particular Agera is the first customer Agera and was finished during the end of 2010. Soon after completion the car was for sale at SEMCO in Germany. 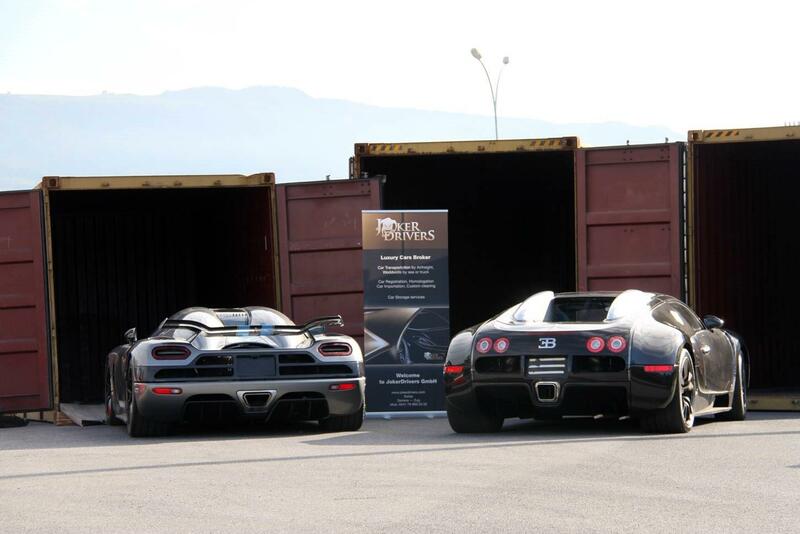 The car however didn’t sell and in the middle of 2011 was spotted at Al Otaiba Group, which is Koenigsegg’s UAE representative. The car was seen wearing Abu Dhabi registered license plates which suggest the car found an owner in the UAE. This car however liked to travel around and was next spotted in Geneva during the end of 2011. The last known spotting of this rather mysterious car was in 2013 at the Bentley dealership in Geneva. If you have recent pictures or know about her whereabouts in 2014-2015 please feel free to contact us. The exterior is completely finished in one color being grey. Many of the usual carbon accented parts including mirrors and air inlet/outlets are seen. 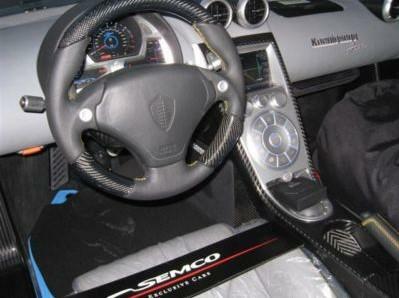 The old pattern Koenigsegg stripes, finished in blue, are also present on the bonnet and continue into the interior. The stripes have yellow highlights on the outer edges. The twin deck F1 spoiler is also finished in grey with dual thin stripes running in the center. The wheels were factory fitted with 9 spoke black Vortex Generating Rims (VGR) with yellow pinstripes. The interior like the exterior is finished in a blend of grey and blue. The Koenigsegg seats are finished in grey with blue accents on the sides and blue accents are also visible on the doors. 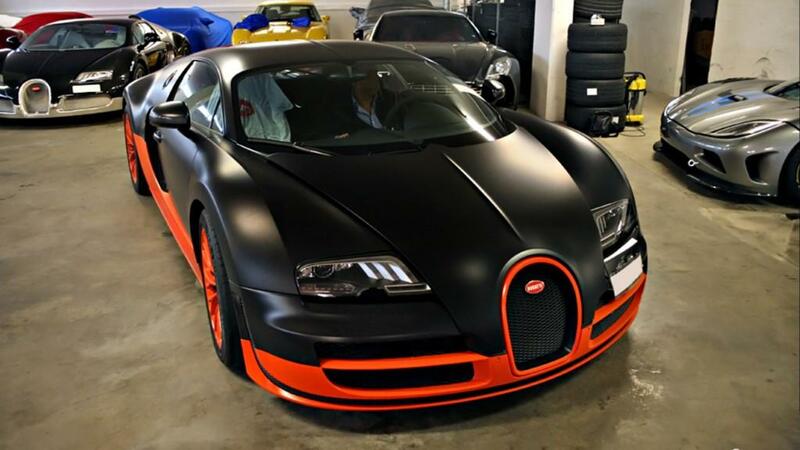 This particular car, since it’s an early example Agera still wears the older style CCX steering wheel finished in black leather and carbon fiber. The center console/infotainment panel is finished in anodized brushed aluminum which is standard. We are in need of more interior pictures of this car. 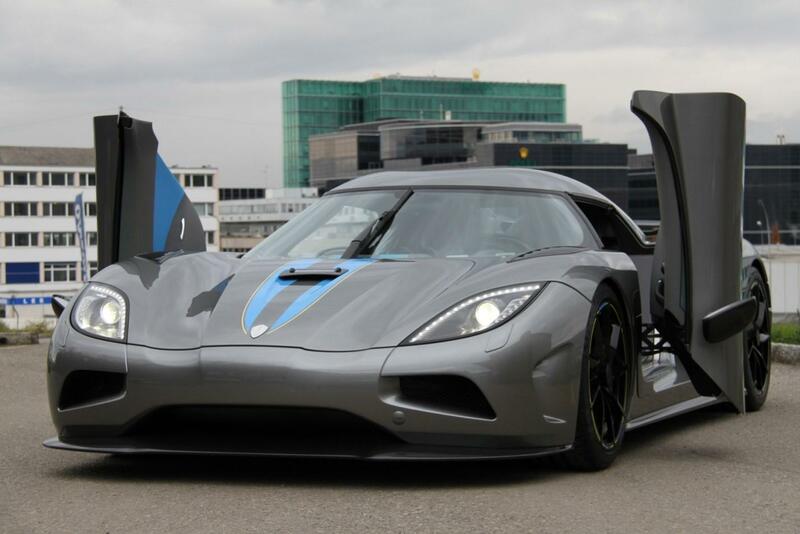 Koenigsegg aluminum 5.0L V8, 4 valves per cylinder, double overhead camshafts rated at 960 HP. This exterior color choice was pretty popular on the early Ageras. Chassis #077 the factory prototype, #079 which is this Agera and chassis #082 look identical from numerous angles. However the trained eye can distinguish them. The factory prototype #077 has the “Medium Sized” spoiler while #079 and #082 wear the twin deck F1 style spoiler. The easiest way to differentiate #079 from #082 is the latter got upgraded to an Agera R specification with the R badge on the exterior of the car. This car is rumored to share its garage with #087, another mysterious Agera R, as a part of one of the most impressive collections of modern supercars.